An illustrated collection of ten stories about Simon Lewis, star of Cassandra Clare's internationally bestselling series The Mortal Instruments, as he trains to become a Shadowhunter. Simon has been a human and a vampire, but after the events of City of Heavenly Fire left him stripped of his memories, he isn't sure who he is any more. When the Shadowhunter Academy reopens, Simon throws himself into this new world of demon hunting, determined to find himself again. 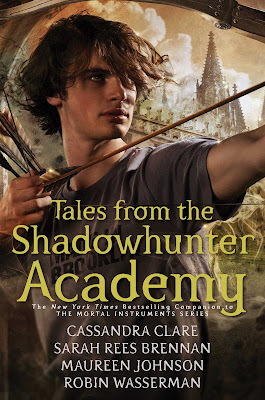 Whomever this Simon might be... Join him on his journey to become a Shadowhunter, and learn about the Academy's illustrious history along the way, through guest lecturers such as Jace Herondale, Tessa Gray, and Magnus Bane. These moving and hilarious short stories are perfect for fans who just can't get enough of the Shadowhunters. The series features characters from Cassandra Clare's Mortal Instruments, Infernal Devices, Dark Artifices and the upcoming Last Hours series. Once a vampire and now a mundane, Simon Lewis has enrolled at the Shadowhunter Academy with fragments of a bewildered memory. Simon will decide whether to remain a Mundane or become a revered Shadowhunter, his reputation as a saviour paving his path to becoming an elite scholar despite being unable to recollect his role in Alicante, the Glass City and capital Idris. With the support of his childhood friend Clary and he's beloved yet estranged Shadowhunter girlfriend Isabelle, Simon will begin his journey to becoming the ultimate protector while uncovering the memories of a former life. Simon Lewis, former vampire now a mundane in vintage band shirts and awkward sharp angles is embarking on a new adventure as a Shadowhunter. The first few novella installments were wonderfully written, charming and engaging. It wasn't until I had reached Nothing But Shadows, where the storyline became tedious. Among the copious amount of historical information about characters from both The Mortal Instruments and The Infernal Devices series, Simon's narrative becomes increasingly frustrating and his journey as Mundane to Shadowhunter is overwhelmed by monotonous tales. The appeal of Simon's character is that of a humble, boy next door quality and it was disappointing that although his character is on a journey of self discovery, spent most of it bitching. His recollection of significant events may be lost, but he's been given a second chance at life, an opportunity to make a difference and he has a smoking hot girlfriend. Stupid Mundane. As I was unable to read the finale instalment of The Mortal Instruments series due to the overwhelming number of new characters being introduced, Tales of The Shadowhunter Academy has helped bridge the gap between the Shadowhunter franchise and Lady Midnight, I enjoyed seeing Emma and Julian's Parabatai ceremony. The reader is also introduced to Helen and Mark Blackthorn and the Blackthorn family chronicles, characters from Lady Midnight. James Herondale and Matthew Fairchild, Will and Tessa from The Infernal Devices and the creation of Valentine's circle. The allure of Tales from the Shadowhunter Academy is Alec and Magnus. 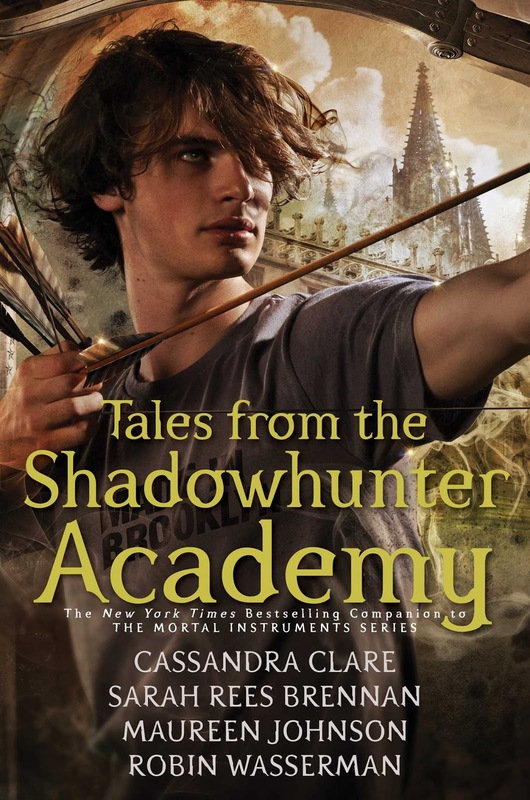 Tales from the Shadowhunter Academy will appease fans, but little more. It was a blend of Simon whining and historical chapters of information that I found incredibly boring. I loved Lady Midnight but apart from Alec and Magnus, I won't return to the original Shadowhunter world again. I commend Cassandra Clare for listening to her readers and providing new adventures but the series has been exhausted. I haven't read any of this series, but I have read another review for this one and it was similar to yours! I'm sorry most of the stories/novellas weren't all that worthwhile to read! The original series was pretty good, but for me personally it's been exhausted. I loved Lady Midnight and will continue that series, but done with the previous worlds. It's just not adding anything new sadly. Aw. This is disappointing, indeed. I've been looking forward to reading this book but I don't think I can get behind a whiny Simon. Bah. And 656 pages! Wow. That's a lot of tales. It was originally ten separate novellas but have been thrown into a huge and very heavy book now. I'd only recommend this to die hard fans. Simon is a cry baby and it's looooong. Thank goodness for Alec and Magnus. Might be worth picking up just the final two novellas just to read about their new domestic duties. The Mortal Instruments series is quite good if you read the first three books, but this one unfortunately dragged on. I'd only recommend this one for die hard Shadowhunter fans. Oh ok, I miss-understood. I thought this was going to be a bunch of adorable shorts about Simon training to be a shadow-hunter (that i'd totally be down for). Oops i'm observant aren't I. While I enjoyed the mortal Instruments series, the last two did drag on a bit. I have Lady Midnight sitting on my shelf to read and I am looking forward to it. But I think I might give this one a miss. I want to keep moving forward in the shadow-hunters world and don't really have any interest in revisiting the past. At least not at 656 Pages. I thought it was too Sarah and it started out that way, but then it derailed and ended up being about how many guest cameos we can squeeze in and promote all the other series. Lady Midnight was one of my.favourite reads of 2017, I can't recommended it highly enough. This one, not so much. He was really likable in that good guy adorkable way, but unfortunately this was not his finest moment. I didn't mind him actually, until I read this. It did help bridge the gap a little for Lady Midnight, but not worth it unless you're a devoted fan. I can't believe how strong this series is still going with all the spinoffs. I quit after the first trilogy. It's the series that never ends Karen. Quite literally. I loved Lady Midnight but won't bother with the original series again.